High density mixed use projects that are adjacent to or integrated with public transport hubs represent a significant growth area that will help transform and revitalise cities both around the world and in Australia, according to a new report. In the research paper, international real-estate services firm CBRE said Australian cities faced challenges in coming decades as an expected population of between 35 million and 42 million by 2040 drove the need to provide between 4.4 million and 7.1 million new homes and traffic congestion is expected to cost $20 billion to $30 billion by 2020. 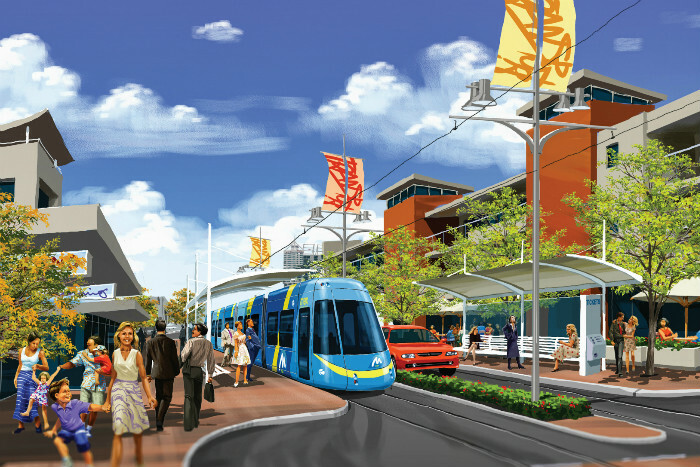 The paper says transit oriented development (TOD) – master-planned projects which are designed to interface with transport services and significant transport hubs – have enormous potential to revitalise underused spaces, provide more affordable housing closer to transport links and thus with greater accessibility to employment opportunities, create more widely distributed hubs of employment and reduce the strain on road infrastructure by allowing easier commuting by public transport. 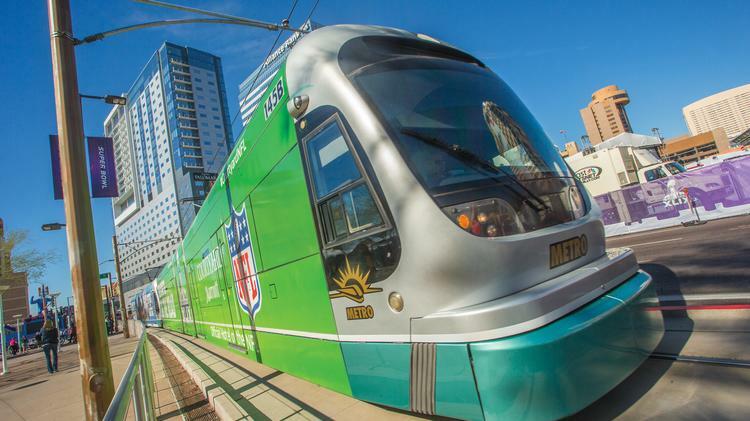 Mesa is taking the lead to spur downtown development in advance of this summer’s light rail completion to Mesa Drive. Mayor John Giles announced the city is offering a parcel on the southwest corner of Main and Center streets for a transit-oriented development. The city is looking for a vertical development on the corner parcel across the street from the Mesa Arts Center in the heart of downtown. The streets around Dorchester’s MBTA stations are on the cusp of transformation. 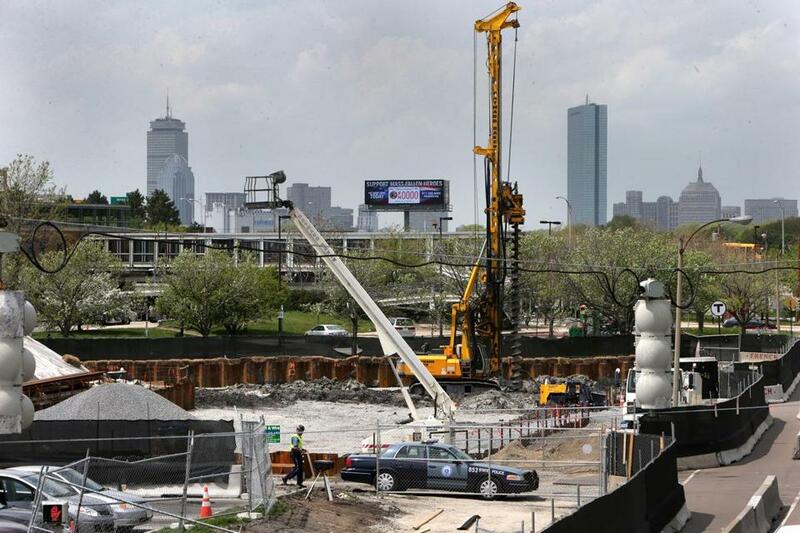 Adjacent to the JFK/UMass Red Line station, more than 275 apartments are under construction, and another 184-unit building is planned on nearby Mount Vernon Street. The next southbound stop, Savin Hill, has attracted a proposal for 375 new homes and a 60,000-square-foot cluster of restaurants and stores. The owner of the South Bay Center, sandwiched between the Red Line and Fairmount commuter rail, is pitching apartments, stores, hotels, and a 65,000-square-foot cinema. And at Ashmont Station, a developer that completed one residential and retail building will add another in 2016. Transit-oriented development is finally becoming more than just high-minded planning jargon in Dorchester. It is sweeping through the neighborhood, bringing new housing, shopping options, and broader economic growth that promises to revitalize residential and commercial districts. California is now the eighth-most bike friendly state in the nation, according to the annual list compiled by the League of American Bicyclists. Two years ago, in 2013 the Golden State ranked 19th. Ratings were based on overall scores derived from five categories: legislation, policies, funding, education and planning. So, what happened in 2014? Well, a lot. The California Transportation Commission allocated more than $360 million in 2014 for locally administered Active Transportation Program (ATP) projects, with 2015 ATP grants expected to total even more. Locally the Via Salinas Valley project will use state ATP money to improve bike paths and sidewalk safety in east Salinas and south valley cities. Caltrans has set a goal of tripling the frequency of cycling, adding bicycle-friendly features to streets as part of its Complete Streets Implementation Action Plan. 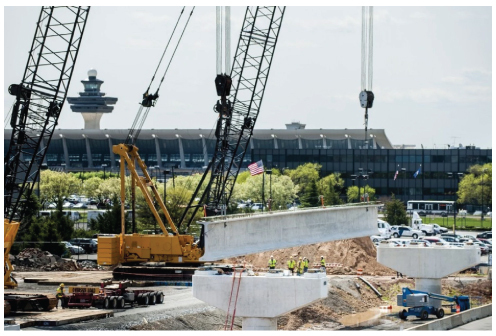 When it comes to business, the areas around Dulles International and Reagan National airports couldn’t differ more, a hospitality executive told business and government leaders recently. Hotel rooms are booked fast in Crystal City near the robust National airport, a vibrant employment center with access to multiple modes of transit. Combined, those factors make the perfect equation for strong hotel occupancy rates, said Mark Carrier, president of B.F. Saul Company Hospitality Group, which owns hotels near Reagan and Dulles. By contrast, it’s a challenge to fill rooms near Dulles where business is down dramatically. The area around the airport is car-centric and lacks the vast public transit options available near National. Hotel rooms were built around the idea that by now Dulles would have 30 million to 35 million passengers annually, Carrier said last week at a transportation forum in Tysons. Last year, 21.6 million passengers flew through Dulles, a significant drop from 27 million in 2005. “The employment growth immediately around the airport is not as robust either and as a result it is a challenge,” he said. More construction cranes will be sprouting on America’s skylines. 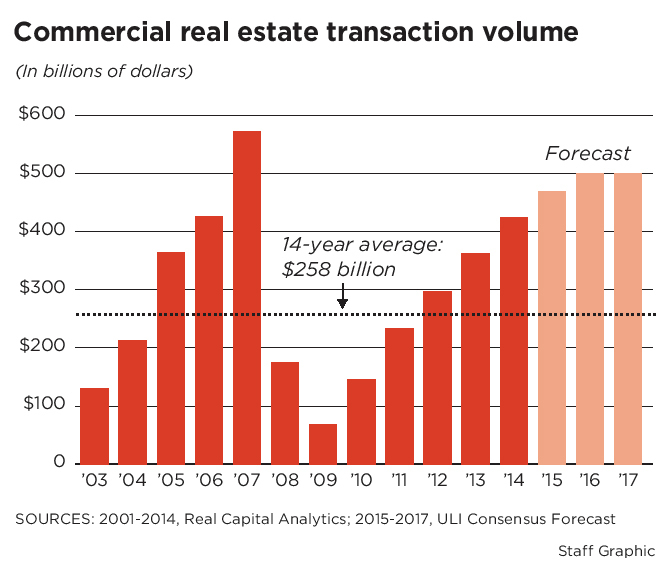 The commercial real estate sector is forecasting one of the longest periods of expansion on record. Top players predict that investment and returns in U.S. real estate will stay strong through 2017. The forecast is for almost $500 billion a year in transactions over the next three years, according to a new study by the Urban Land Institute, which is meeting in Houston this week. The Washington, D.C.-based organization is the country’s largest commercial real estate association. “Real estate volumes have been growing steadily,” said Urban Land Institute’s William Maher, a director with LaSalle Investment Management. “It looks like they will continue to grow in 2015. The U.S. commercial property market has been expanding since 2010, following a sharp downturn during the recession. Transaction totals are expected to increase this year and in 2016 to almost twice the 14-year annual average. No surprise then that average commercial property prices are jumping.